Countless iPhone X owners who got their device through AT&T are reporting issues with first-time activation. Popular mobile carriers AT&T and Verizon have apparently dropped the ball with regard to Apple fans, as mobile users who have bought the new iPhone X through these companies are currently reporting having trouble with the device's initial activation. 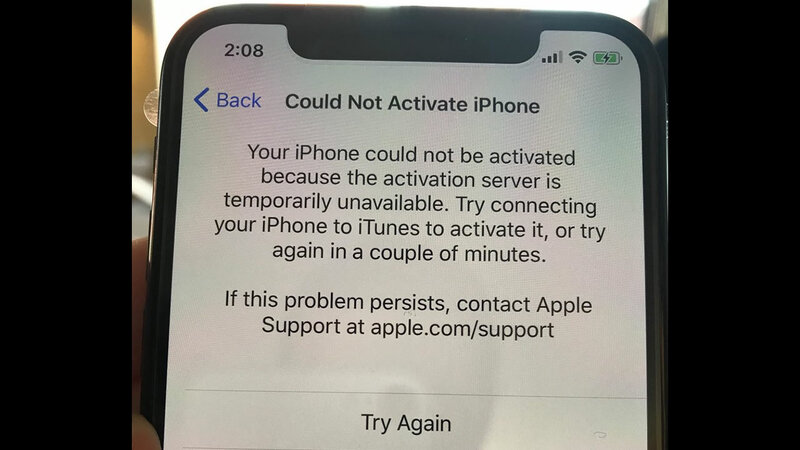 Despite following all of the usual mobile phone activation processes, loads of users are experiencing an iPhone X activation error stating that the network "Could Not Activate iPhone" despite repeated tries at getting the device up and running. AT&T has offered up a solution, of course, but it likely isn't something that iPhone X users will want to hear — the official advice seems to be to try again sometime tomorrow. It's unknown whether or not numerous repeated attempts are inhibiting the process for other users, but for now, it seems like the issue should resolve itself through time. [Update 01:30pm] A close friend of Shacknews has managed to contact an AT&T representative to voice his concerns and was offered a $15 credit as a means of reconciliation. It's currently unknown whether or not AT&T or Verizon plan on extending this credit to all users affected by activation woes. The iPhone X, Apple's latest and most certainly most feature-packed flagship device, has only launched today, and with consideration to the phone's popularity, it should perhaps not be surprising that some are having trouble getting their iPhones activated. While it's still possible to use the phone for general offline entertainment and the chance to become familiar with some of its newer features, it seems like Apple fans making use of AT&T or Verizon mobile services will simply have to wait before they can get their devices online and start sharing Animojis with one another. We've reached out to AT&T about the iPhone X activation issue, and we'll report back when we hear any sort of official word from the company. Until then, users can pass the time by checking out our Shackcast, where members of the Shack crew weigh in with their thoughts on Apple's sleek new handset. [Update 01:30pm] This story has been updated to reflect current reports indicating that Verizon users are also now suffering from the iPhone X activation issue as well as a report that AT&T is willing to give customers who express dissastisfaction with the issue a $15 credit. There’s no actual solution in this article? Sounds about like ATT&T trying to help you. It took me like 3 hours but I was finally able to activate last night.